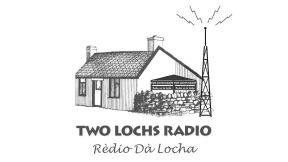 Two Lochs Radio - 2LR - offers the residents of the Gairloch, Loch Ewe and Loch Maree areas the choice of a community-based radio station comprising a mixture of music and speech, with a distinctive local character, providing local information, news and features. Via the Internet it also serves the large number of Scots living outwith the area, and the thousands of folk who visit the area each year. Our music mix is very broad, drawn from contemporary popular, specialist (e.g. Scottish, Celtic, folk, reggae, country) and popular gold generally spanning the last half century. The station is operated by a non-profit company, Wester Ross Radio Ltd, which has membership open to all individuals and businesses with an interest in promoting a local radio service for public benefit in its area.